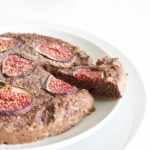 Fig chocolate tonka bean cake - paleo - NOURISH TO PERFORM. While others are celebrating pancake Sunday, I stick to my usual cake. Actually, this cake is far from being your usual cake. It’s healthy, paleo, high in protein and something completely new taste-wise. My newest addition to the kitchen is tonka bean. Exciting to try it, I made this fig cake and put some tonka bean into and onto the cake (aka the golden shimmer on top). Its taste reminds me of almonds, marzipan and is also kind of bitter. It goes perfectly along with nuts, chocolate and spices like cinnamon, vanilla, glove or orange peel. As Christmas and baking season is coming soon, I can totally recommend investing in some tonka bean and adding it to your recipes. It will give them a little twist but don’t worry its taste is not to intense. 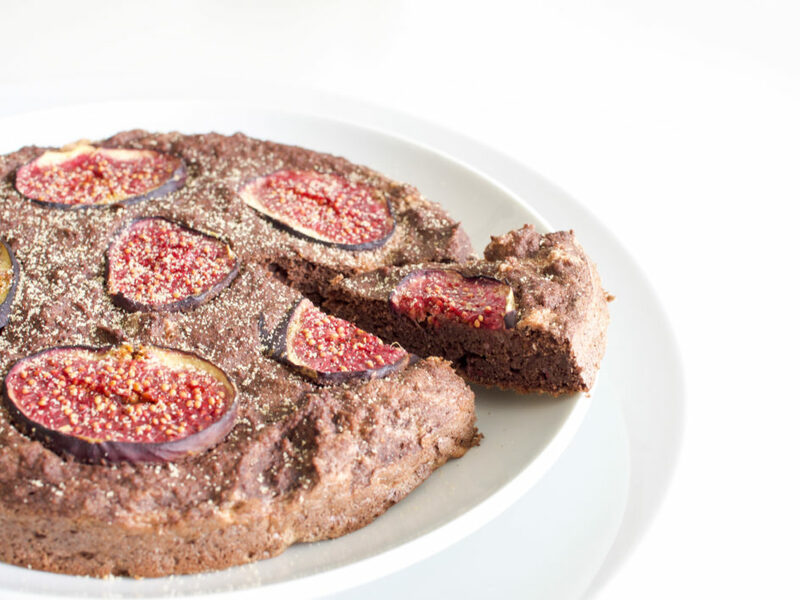 Although, I don’t like figs, those over-ripe sweet figs and flours that are sweet and flavorful themselves (plantain, coconut and almond flour) combine perfectly with the bitter almond taste of the tonka bean. Mix all cake ingredients apart from the egg (and fig) and then separate the egg and add the yolk. /Die trockene Zutaten (außer die Feige) für den Kuchen mit Eigelb und Nussmilch verrühren. Fill the dough into a mini cake tin or muffin tins (I prefer silicone), top with fig slices and bake for 25-30 minutes./Den Teig in eine Miniform oder Muffinförmchen füllen, Feigenscheiben darauf geben und 25 bis 30 Minuten backen.